An extensive collection of hands-on maths games to use when teaching a range of mathematical concepts. Games give students opportunities to explore fundamental number concepts, such as the counting sequence, one-to-one correspondence, and computation strategies. 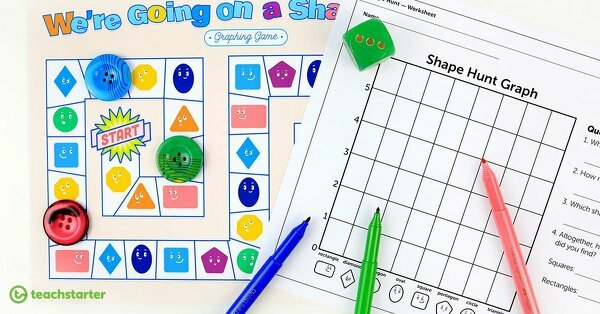 Engaging mathematical games can also encourage students to explore number combinations, place value, patterns, and other important mathematical concepts. Games in this collection include match-up puzzles, dominoes, board games, bingo, sorting activities and many more. 32 different bingo cards using whole, 1/2, 1/4 and 1/8 equivalent fractions. A fun and challenging maths game to reinforce rainbow number facts when solving addition problems involving two-digit numbers. Twenty word problem cards for division and multiplication using numbers 0-50. 30 different bingo cards using angle pictures, degrees and names. A whole-class game to consolidate students’ understanding of fraction, decimal and percentage equivalence. You know those mind-blowing maths tricks shared all over social media? As teachers, we either love them or cringe when we see them! To do maths rotations or not?